Born March 23. 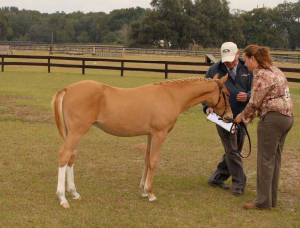 Hi Ho Sylvia entered in the first Florida Pony Breeders Assoc. Futurity in December 2006 at the RMI "A" Show. Pictures Below. ***Update Hi Ho Sylvia was 3rd (out of 7) in the weanling filly class at the FPBA futurity. "Teddy" was born on June 5. 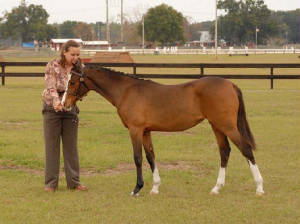 He is entered in the first Florida Pony Breeders Assoc. Futurity in December 2006 at the RMI "A" Show. ***Update . Teddy was 1st in the weanling colts (out of 4) at the FPBA Futurity. "Naomi" was born June 7. 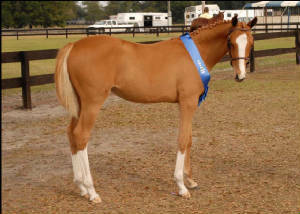 She is entered in the first Florida Pony Breeders Assoc. Futurity in December 2006 at the RMI "A" Show. ***Update - Naomi was 1st in the weanling filly class at the FPBA Futurity out of 7 nice fillies.